These rugs are exceptionally soft with a long crinkly fur. Occation: They look amazing draped over furniture adding a contemporary style.You can place it at any of your living space, on your bedside, in front of your fire place or on the side of your sofa; to wooden, carpet or tiled floor areas, or on chairs for a wrapped around feel of comfort, they will definitely make a space look warm and inviting.This sheepskin would be a stylish addition to any interior. Dry clean only. No Iron. 60cm x 90cm or 60cm x 120cm, OEM service is welcomed. One reason for faux fur to get thumbs up is its low cost. 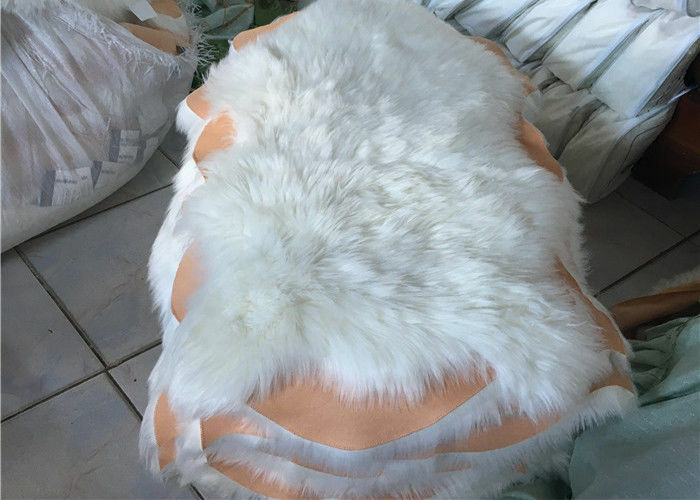 It is a cheaper alternative to expensive fur as synthetic fibers are used in its manufacturing.Even though it matches natural fur in looks, it is far more cost-effective. You can use simulated fur just as you use regular clothes. It is easy on maintenance and does not need protection against cold to prevent early wearing out. You can also easily wash it. It is resistant to moth attacks and if given proper care, it can stay soft and shiny for a longer time. Real fur requires careful storing and transport methods. You can have a variety of designs with faux fur.They can be long, short, or brightly colored and still look authentic. 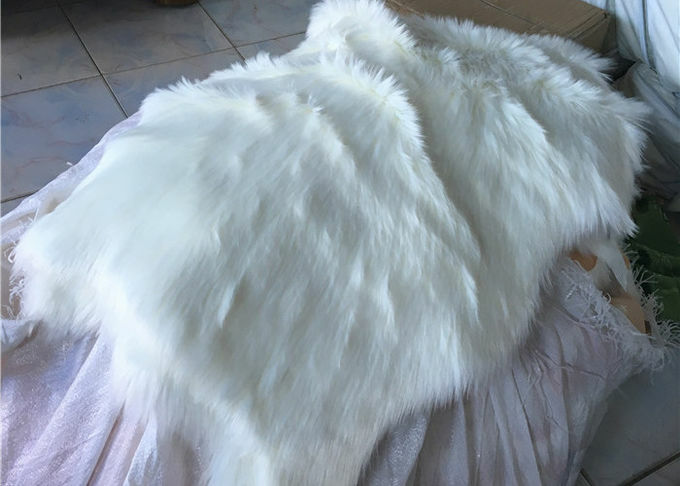 Why do you need polyester long pile shaggy faux fur rugs? 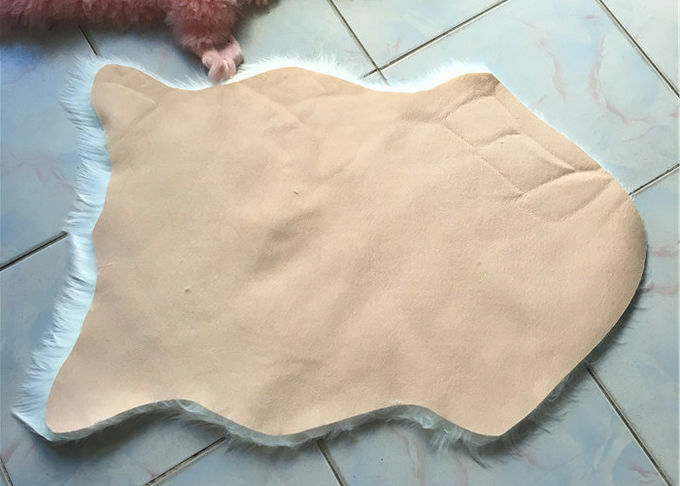 Shaggy Surface: surface material of polyester long pile shaggy faux fur rugs is polyester, which can make the surface so fluffy and shaggy, soft touch to human body. Antislip Back: The back of polyester long pile shaggy faux fur rugs is covered by the suede backing.